HIGH SPEED PRODUCTION : 1000 pcs/min. 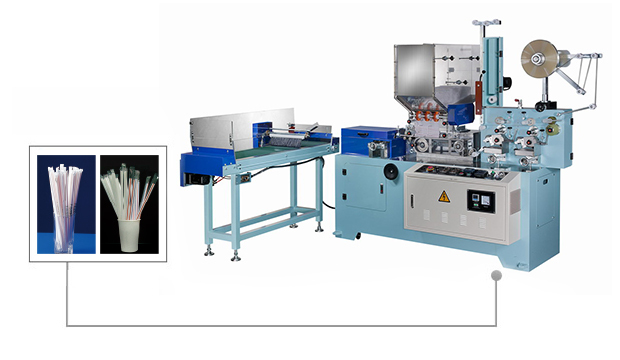 Ideal for packing a wide varlety of straws, the JUMBO STEEL JS 605PW Straw packing machine provides a high packing rate of 800-1000 pcs/min, and incorporates and automatic, two-color water base ink printing capability. The packing size is fully adjustable with a length range from 190 mm to 260 mm. JUMBO STEEL's Straw packing machine not only makes your straw packing operations easier and more efficlend, but provides you with highly rellable perfromance for year affer year operations. JS 605PW Packing material is OPP or paper, OPP film need to be pre-printed or keep transparent.